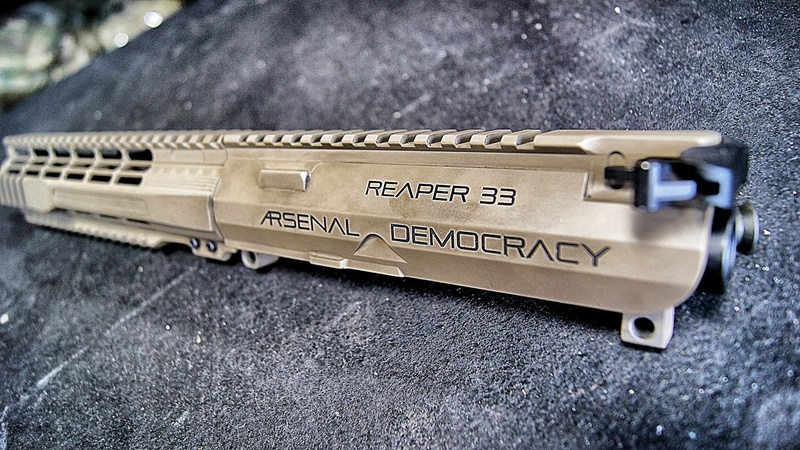 After talking with the guys over at Arsenal Democracy, we decided to build an AR-15 upper named “Reaper 33”! 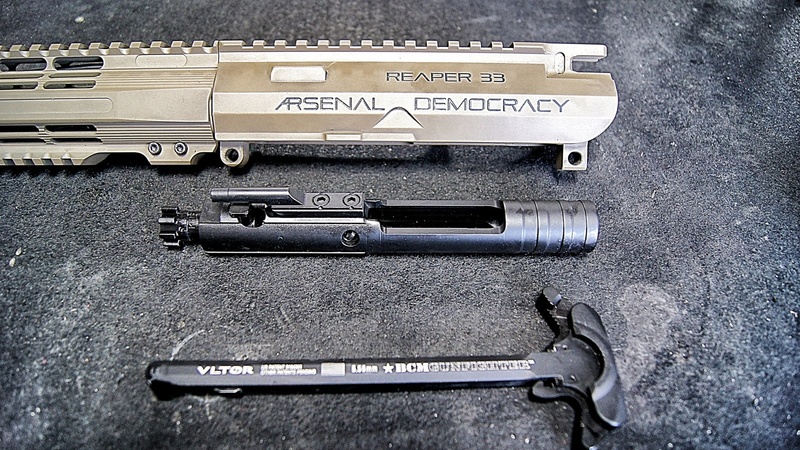 Something that I take great pride in, is the fact that the “Reaper 33″ is not only made from high quality material, but it is manufactured here in the US by former and active duty Special Forces and Special Operations operators, and tested by US Army Rangers, Green Berets, Navy SEAL’s, and Delta Force operators! After receiving the package containing the customized AR-15 10.5” upper along with a few other goodies, I started the initial testing. We will be conducting a wide variety of test over the course of 1 month to ensure its reliability, accuracy, etc. I wanted to share some of the test with you, there will also be a variety of videos that will be posted as well. The first video will be available for viewing Saturday of this week! Accuracy: The accuracy test will be conducted by myself and another former US Army Ranger Sniper. 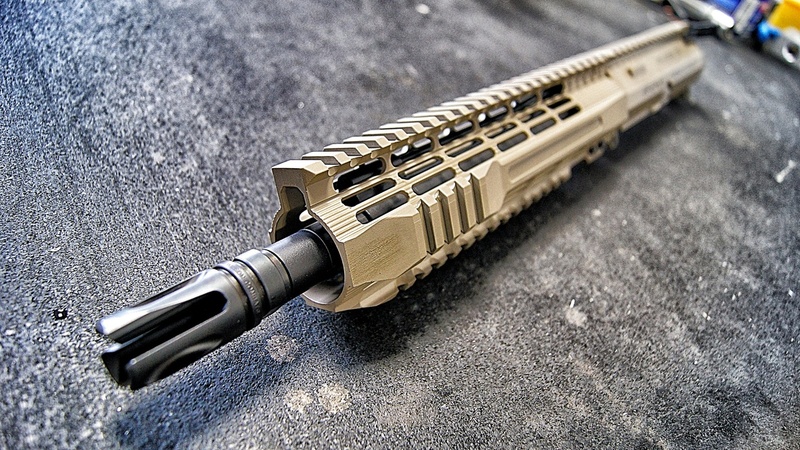 Having a weapon that shoots 1-2 MOA is what I believe any carbine shooter strives for. Cranking out thousands of rounds that continuously shoot with superb accuracy is a MUST! Drop Test: The basic drop test basically ensures the weapon will not crack, fracture, fall apart, etc. This test is done from 10 feet on a hard surface such as concrete. Helo Drop Test: This is one of my favorites! We will be dropping this upper from a moving helicopter from 85-100 feet. The weapon should not fall apart and still retain its accuracy! Dirt, Mud, Sand Test: The title says it all. Covering the weapon in all of the described elements over a 24 hour period, retrieving the weapon, and firing the weapon to ensure functionality and accuracy. US Navy SEAL Team Test: That’s right. Heading over to the West Coast to meet up with a few good active duty Navy SEAL’s and put the weapon through its cycle! Expect a ton of punishment, demolition, diving, etc.! C.A.G. Test: The C.A.G. test will be conducted by a former Delta Force operator. This should be interesting! Stay tuned for updates and videos!